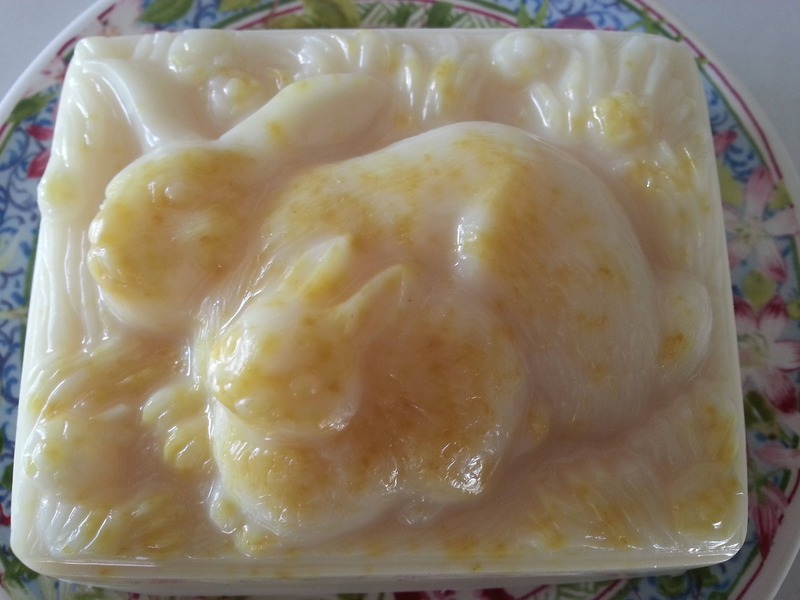 Honey Vanilla Lemon Bunnies Bar Soap--Springtime! 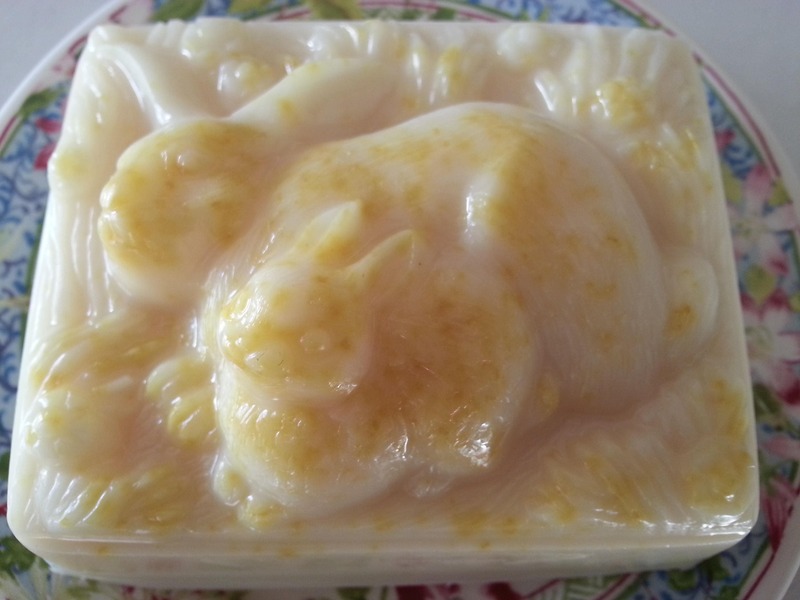 Smells like springtime lemony custard! 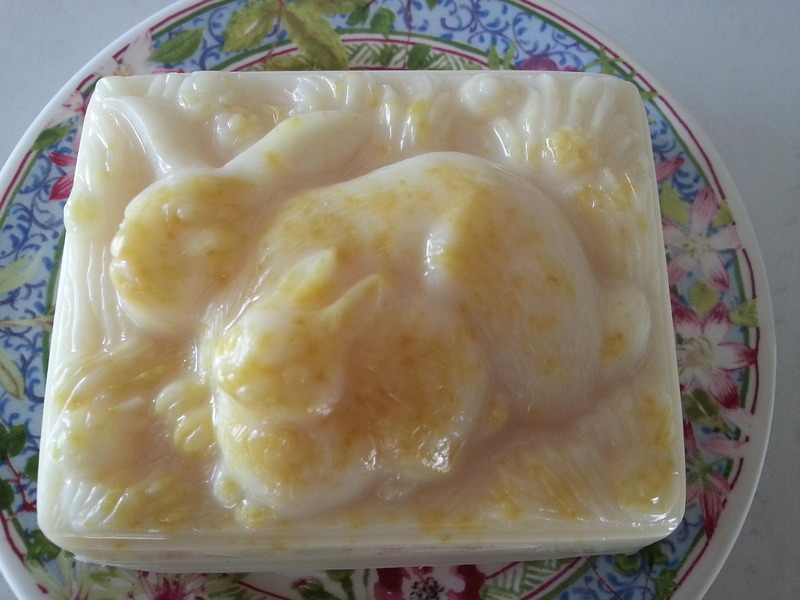 Infused with skin soothing honey, and scented with vanilla, lemon verbena essential oil, and lemon zest. Will come in an eco-friendly compostable clear cello bag sealed with washi tape. 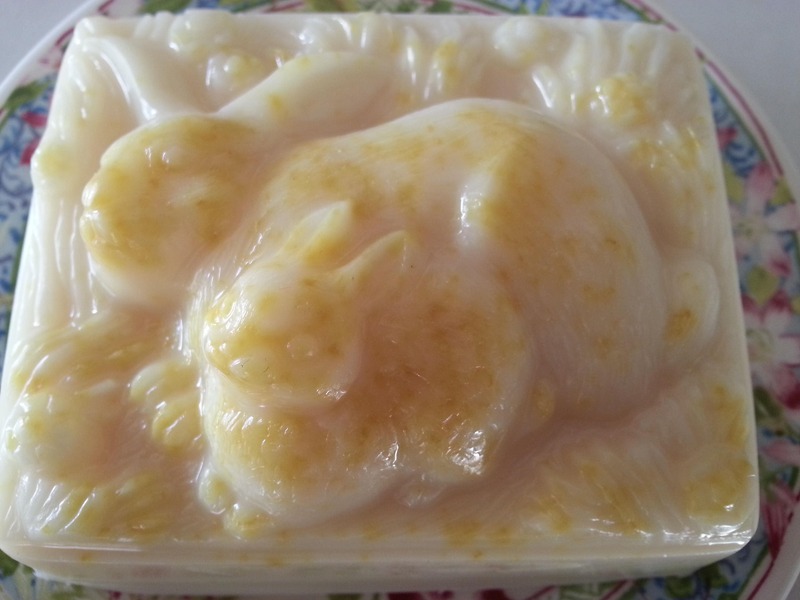 Ingredients: Coconut Oil, Palm Oil, Safflower Oil, Glycerine (kosher, of vegetable origin), Purified Water, Sodium Hydroxide (saponifying agent), Sorbitol, Propylene Glycol (made from vegetable glycerine), Sorbitan oleate (emulsifier), Oat protein, Titanium Dioxide (mineral whitener used in opaque soaps), honey, vanilla, lemon verbena essential oil, and lemon zest.